Rio de Janeiro is a beautiful state, full of diversity, color and culture; perfect for tourists who want a new and exciting vacation experience. The city is more commonly known as Rio, it is the second largest city of Brazil as well as the third biggest metropolitan area in South America. It has beautiful natural settings, carnivals, long beaches and the famous Christ the Redeemer landmark, making it one of the most visited cities in the southern hemisphere. 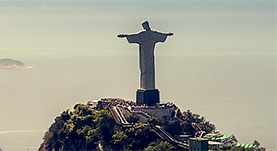 There are many things for tourists to visit, such as the theatre, the carnivals the international film festival and of course, the iconic Christ the Redeemer statue. The city has been awarded the best travel destination in the South American category, by the World Travel Awards, thanks to its music, literature, festivals and many tourist resorts. Visitors have the choice to stay near the beach in a hotel, or if you have had good experiences staying in hostels in London or Paris during previous holidays, then there is also this type of accommodation available if you want to save some money. The Panorama of Leme Beach and prime district are popular tourist resorts, providing a stunning view of the city landmarks from across the water. 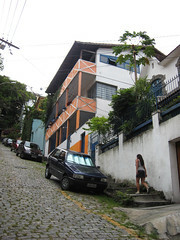 Rio is also home to stunning, bright and colorful cultural events, especially seen during their new year celebrations. Each December, more than 31 million people – normally dressed in white – congregate at Copacabana Beach. Celebrations continue through the night, hosting events and shows along the beach. The people share chilled champagne which they spray amongst themselves as the clock strikes midnight, which is considered to be good luck. However, the carnival is by far the biggest event of the year, attracting millions of people to see costumed performers, floats and hear traditional Brazilian music. The celebration allows the people to have fun, make merry and eat loads of red meat, before they begin their lent fast.